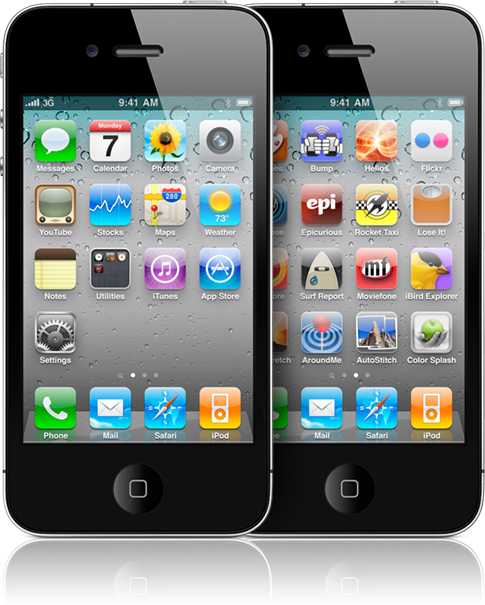 Review: iPhone 4 with iOS4 | Globonomics! I bought this from the Apple store at Palo Alto, California last month and while I bought the one without contract to AT&T/Apple paying the full retail price, the experience has been worth it. Ever since I lost my iPhone bought in India back in 2008 due to a freak incident, I was waiting to avenge the loss of the device I used to use 24*7 and kept by my side. It was therefore a natural progression that I moved to the latest iPhone4 and having good features. However, it was not so easy getting it to work in India due to the Micro SIM but I got it to work with a pair of scissors, Internet manuals to cut it to shape to fit my iPhone4 and of course, enabling the GPRS and getting it to activate on my network locally. I also bought a Belkin cover for my iPhone4 as my last iPhone got permanently damaged due to water damage due to a faulty cover. I finally achieved success and am now a happy user of the iPhone4! I configured my office exchange server with this to receive office emails alongwith my personal emails of various services as well! Congratulation for new iPhone 4 with iOS4. Experience you had “Micro SIM” is kind of scary — Apple is the best — people who use it they know the value in it — looking for more review on your experience.